If you haven’t ventured up north during your stay, please don’t miss out. 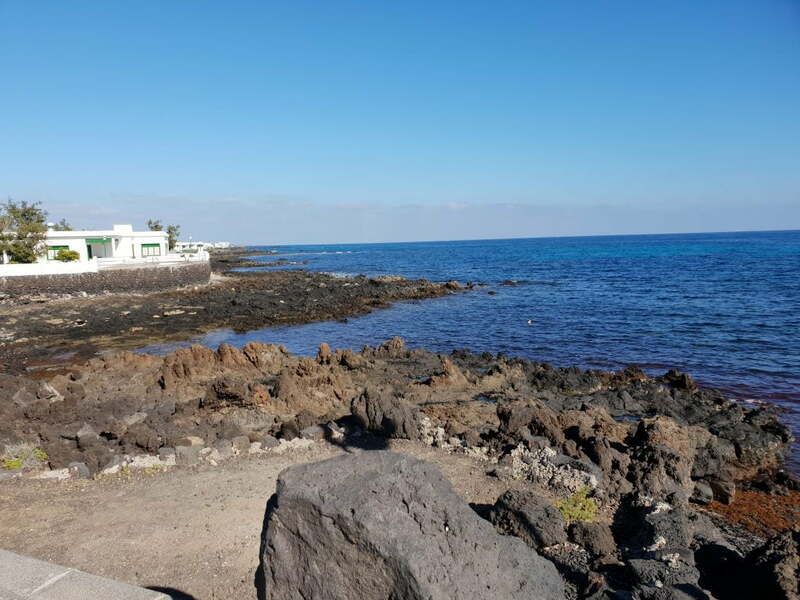 Many of our regular clients make the trip up to Arrieta probably calling in at their old favourite Amanacer for lunch. This really well known restaurant owned by brothers has recently changed ownership but has retained the same chef. The queues outside were far too long recently, my patience was tested so drove on a little further and parked easily outside El Lago. Easy parking and open from 10am till late every day this proved to be a great move. The staff were very welcoming and friendly and the bill was fair and reasonable. I highly recommend the grilled sole for 10Euros, it was whale sized! From my photos you should be able to locate it and the sea views are incredible; highly recommended. 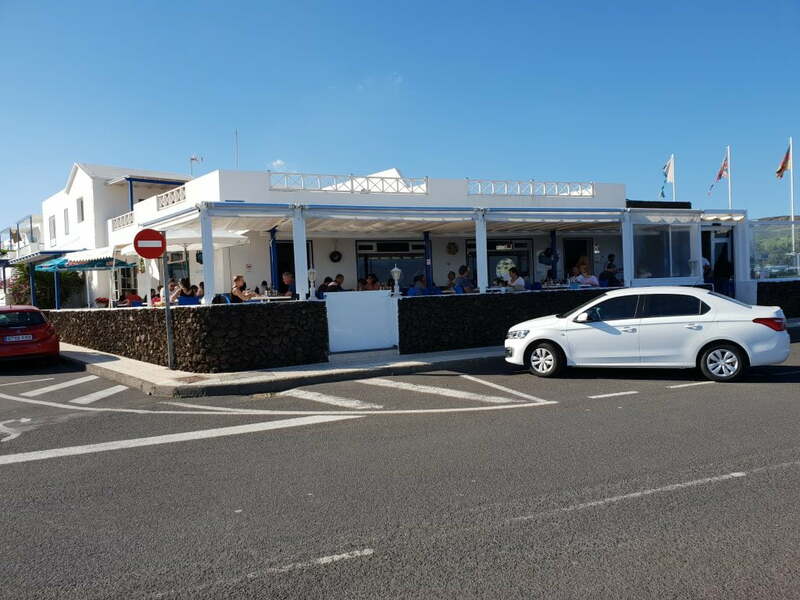 If you fancy a walk afterwards leave your car and follow the sea there are clear footpaths you can have a coffee and a small seaside café eventually reaching the social club in Punta Mujeres. The sea swimming pools are fabulous and on a rough day the waves are amazing. HAPPY CHRISTMAS AND NEW YEAR!!!!!! To secure a booking on one of our properties we require a non refundable deposit of 30% of the total rental price to be paid via bank transfer. The balance is due 6 weeks before your arrival date and once paid is non refundable. Alternatively we accept payment of the balance in cash on arrival, but if you choose this method we ask you to take out holiday insurance as this covers us if you have to cancel your holiday due to any unforeseen circumstance within 6 weeks of the start date of you stay. Although prices are listed in Euros we do accept payment in sterling. In order for us to prepare the accommodation for following guests we ask for a departure time of 10:00am, but if you have a late flight please let us know. Depending on the following arrival time we will try to extend your stay or provide you with a storage location for cases etc until your return to the airport. We aim to have your accommodation ready for 12:00 but as this is a very early check-in time we ask you to be understanding if a busy changeover day means that we are running slightly late. You are very welcome to leave luggage and/or sit around the pool until we have finished preparing for your stay. All of our accommodations are non-smoking. The ashtrays provided are for outdoor use only. In order to help us provide an early check-in time for future guests we kindly ask you to leave you holiday home as organised as possible, with all rubbish having been removed.